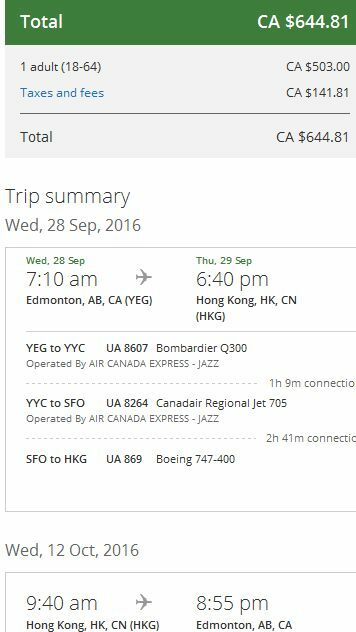 United Airlines has dropped the price of their Edmonton - Hong Kong flights down to $658 CAD roundtrip including taxes. September, October, November and December 2016. 3. Click through from Google Flights to the United Airlines website website for booking. I've noticed that sometimes you need to try clicking through twice. It won't always work the first time. Focus on dates in September, October, November and December 2016. 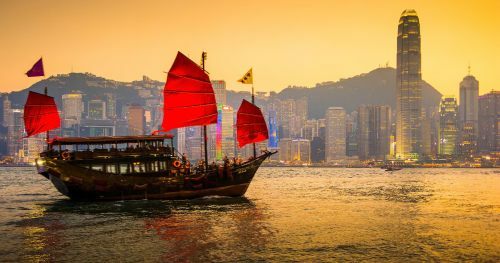 For the first flight, from Edmonton to Hong Kong, focus on flights departing on a Tuesday, Wednesday or Sunday. 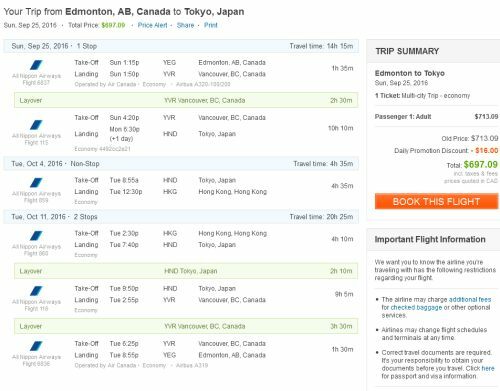 edmonton, yeg, flight deals, hong kong, hkg, asia, east asia, united airlines, japan, tokyo, nrt, ana, all nippon airways and hnd.